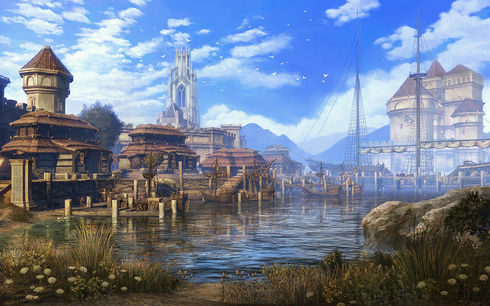 The Gold Coast always served as the Empire of Cyrodiil's gateway to the Abecean Sea—but with the Empire in eclipse, the region has gone its own way. Voices in the Dark: Draw the attention of the Brotherhood. Signed in Blood: Murder a noble in his own estate to seal your place in the Dark Brotherhood. Contract: Kvatch: Accept and carry out your first contract on behalf of the Dark Brotherhood. A Lesson in Silence: Silence a high-ranking priest who is spreading lies about the Dark Brotherhood. Questions of Faith: Help your fellow Brotherhood member regain their faith in the guild. A Special Request: Complete a high-profile contract... or two. Filling the Void: One more soul needs to be sent to the Void to eliminate the powers threatening the Dark Brotherhood. This page was last modified on 3 February 2019, at 02:18.